Now that it’s over, do you feel like you made the most of it? Did you enjoy the love of family and friends and remember all of the reasons that you are thankful? Long after the stove is off, you’ll feel the warmth of love and gratitude when you try these ideas at Thanksgiving. Sure, the turkey, stuffing and pumpkin pie might be the stars of the show, but we all know it’s really our loved ones who make Thanksgiving special. Really embrace the spirit of the holiday next year by adopting a new tradition that highlights gratitude, giving and community (and have fun doing it). Here are 10 fresh ideas to try next turkey day — and perhaps for many more years to come. Cut and sew letters from fabric scraps onto fabric tape. 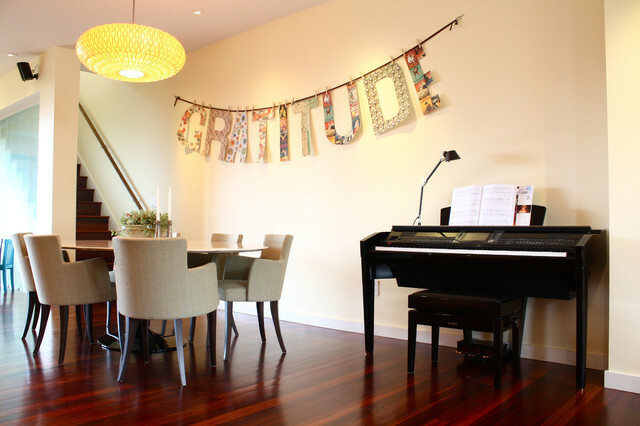 Cut out letters from wallpaper samples or oilcloth, and sew them onto grosgrain ribbon. Glue letters cut from pretty gift wrap onto cardstock for strength, punch holes in the tops and tie them onto ribbon or twine. Cut out pages from an old book and use stencils to paint a letter onto each page, then staple the pages onto twine. 2. Display the year in photos. Take the time to collect your favorite photos of family, friends and adventures over the past year and display them in the entry hall on Thanksgiving. You can have multiple photos made into oversize posters — add one more each year if you make it a tradition. Or tape up a quick family tree on the wall using photographs and Japanese masking tape (which is easily removed) as the branches. 3. Invite someone who doesn’t have a place to go. Whether it’s a work colleague or a friend of a friend, if you hear of someone who won’t be able to go home this Thanksgiving, invite him or her to your home to share this special meal. It can really make a difference for the person you invite; besides, the more people are squished around the table, the more fun the dinner usually is. 4. Send gratitude notes to friends and family far away. Sending gratitude notes for Thanksgiving would be such a welcome surprise for loved ones who can’t be at the table with you. Of course, this being the digital age, you could also send an e-card, call them on Skype or use whatever method works for you. The point is to connect. 5. Share the bounty. Before the holiday comes, take stock of your own good fortune and see if you can afford to donate a few bags of much-needed food to your local food bank or soup kitchen. I recommend calling in advance to see what they really need. I also know families who choose to volunteer serving food or washing dishes at a soup kitchen on Thanksgiving, so if that is something you are interested in, why not give it a try next year? 6. Share your family’s treasured recipes. If you always make a favorite dish that’s been passed down through your family, this year take the time to copy it out on cards to give guests, along with the story behind it. 7. Make a gratitude tree. 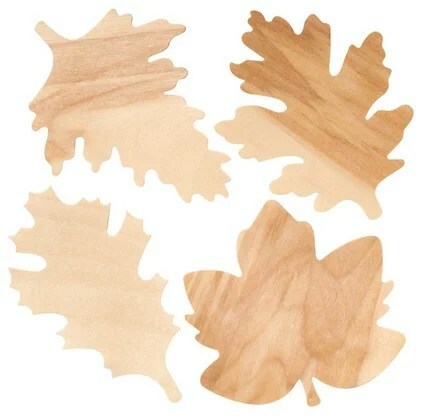 Using wooden leaves like the ones shown here or paper leaves you cut yourself, encourage guests to note something they are grateful for on a leaf, then clip the leaves with clothespins to bare branches in a tall vase. 8. Invite friends into the kitchen to help cook. If you are one of those cooks who takes on the entire Thanksgiving feast on your own, I beg you to reconsider this year — even if only a little. 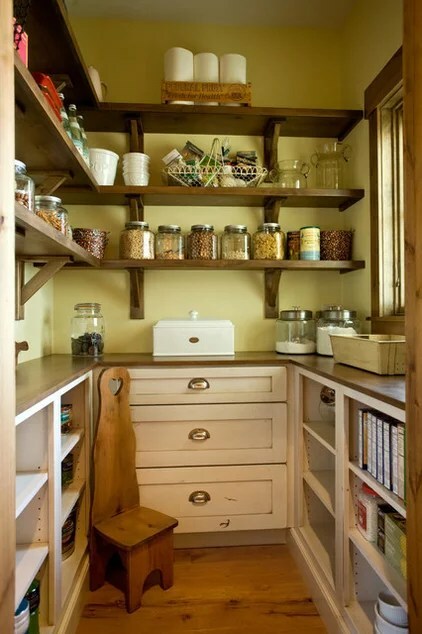 Assign family and friends kitchen duties you know they can handle, and everyone will feel more useful and have more fun. 9. End the day outside.Take a walk, play football or sit around an outdoor fire with a final glass of wine. After all of that cooking and eating indoors, it feels lovely to step out into the crisp air. great activity to keep kids busy while the grown-ups are cooking — then you can send them outside to place their treats around the yard for birds or squirrels to find. What are your favorite Turkey Day Traditions? Let us know!